In recognition of our Military Fallen Heroes from all wars and their families, the Gold Star Family Weekend, Inc. is honored to invite families of our Military fallen heroes to a weekend of camaraderie, fun, and sharing. We invite families of military fallen from all wars (Iraq, Afghanistan, Desert Storm, Vietnam, Korea, WWII and the conflicts in-between) to be our guests for an amazing weekend planned exclusively for you and your family at Camp Ripley near Little Falls, Minnesota. 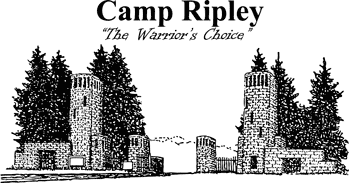 Camp Ripley is a 53,000 acre regional training facility for our military, federal, state, local and civilian communities. Camp Ripley relies on its expertise in environmental stewardship to maintain its training resources. The staff at Camp Ripley have opened their gates to our families for this special weekend. Please Donate and Make this Weekend Possible!